Join us in our effort to create a more caring community for our neighbors with dementia. 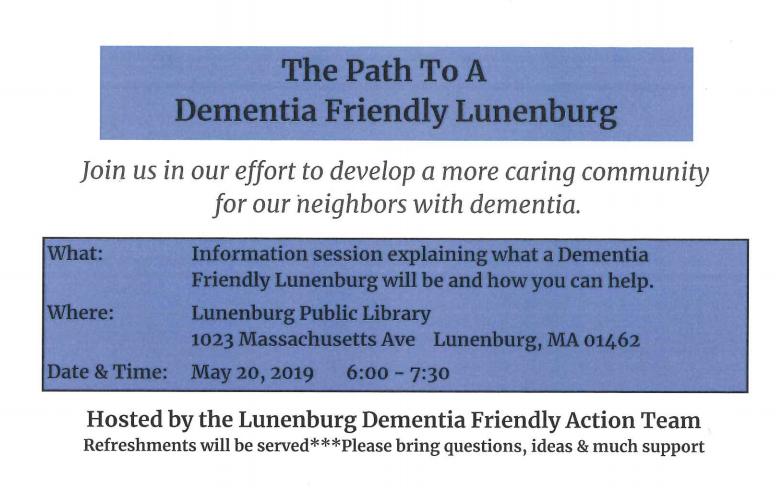 Information Session on what is involved in becoming a Dementia Friendly Community. When: May 20, 2019 6:00-7:30 p.m.